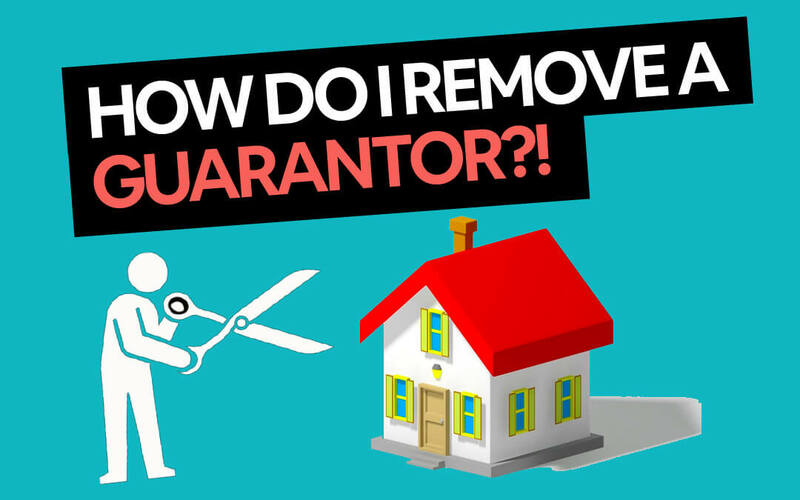 In this post, you’re going to learn how to remove a guarantor from a mortgage. These are the exact strategies we have used to help home buyers remove their guarantee. How long do you keep a guarantor on a mortgage? When should I remove the guarantor? When will I have to pay lenders mortgage insurance? What if my guarantor situation changes and I have to remove them? Can you sell your house if you are a guarantor? What happens if I get divorced and have a guarantor home loan? What are the fees involved in removing a guarantor? But how long does the guarantor have to stay on a mortgage? The way the banks see it your guarantor is being placed onto the loan for the entire 25 to 30 year loan term and will continue until the bank approves your request to remove it. If you did nothing after your loan settled your parent’s property would be guaranteeing your loan until you either sell your home or pay it off in 25 to 30 years time. Realistically you should aim to remove the guarantee within 5 years once you are in a financial position to remove it, but this comes down to your personal situation, how quick you have been able to pay down the guarantor portion and your property’s value. …And you have since paid down the loan to $320,000 you can now refinance your loan because the LVR is 80%. On the other hand, if you had only paid the loan down from $420,000 to $405,000 but your property value had increased to $450,000 you could still refinance with a 90% LVR loan but need to pay lenders mortgage insurance. Removing a guarantor with an 80% LVR is great because you will avoid paying a Lenders Mortgage Insurance (LMI) premium. ✅ Your loan repayments need to have been made on time and be up to date for the last 6 months. ✅ Your loan must be less than 80% LVR. From here, different banks have different processes. For example, St George Bank can complete the valuation and then remove the guarantor without changing your loan structure doing a partial release. On the other hand, other banks like CBA who set up guarantor home loans as two separate loan accounts will need to internally refinance your home loan to remove the guarantor. ING Bank have an entirely different process and consider removing a guarantor the same as removing a borrower. If this is all sounding too hard, don’t worry give us a call on 1300 088 065 or get in touch online to see how we can help. The initial steps and process in removing a guarantor with a 90% LVR home loan are similar to above where you will need to meet the bank’s credit criteria, have kept your loan repayments up to date and need a new valuation on your home. By removing a guarantor with a 90% home loan you are effectively refinancing and removing the guarantee. ✅ Your loan must be less than 90% LVR. The biggest problem we see at this stage is that different banks will value homes at different amounts, we have seen up to $130,000 increase in valuations on the same property across different banks. We can order an upfront valuation with more than one lender to help you find the lender with the highest property valuation. The second item to be aware is different banks also charge different Lenders Mortgage Insurance premiums. In the same example, if you were refinancing a $405,000 against a property that was valued at $450,000 you could pay as little as $7,242 in Lenders Mortgage insurance – and as much as $10,677! That’s a $3,435 different in Lenders Mortgage Insurance premiums, so it pays to look around which we can help you with. Again if this is all sounding complicated, don’t worry give us a call on 1300 088 065 or get in touch online to see how we can help. Lenders Mortgage Insurance needs to be paid if the value of your mortgage is over 80% of your property’s value. If you have less than 20% equity in your home you will need to pay lenders mortgage insurance. To calculate your LVR, or Loan to Value Ratio just divide your loan amount by your estimated property value. In this case, I would need to pay lenders mortgage insurance. In this case, as the LVR is equal to 80% I do not need to pay lenders mortgage insurance. Keep in mind that your parents or relatives have done you a massive favour by providing their guarantee and helping you into the property market. You want to remove them as soon as possible because having their guarantee in place can hold back your parent or relatives future plans. For example, they might not have enough equity to purchase an investment property with the guarantee in place or you might have a brother or a sister so will need to look at multiple guarantees on one property. If you are confused or aren’t sure what to do, don’t worry give us a call on 1300 088 065 or get in touch online to see how we can help. This gets tricky if your guarantor wants to sell their home, and we recommend you chat to us before they list the home for sale. It can get difficult depending on your loan amount, and while is possible to place a portion of the sale proceeds as a term deposit while your guarantor looks for a new home it all comes down to your individual situation which we can discuss with you. We can look at refinancing your guarantor home loan to remove one of the borrowers and have you as the only owner and borrower on the home loan while leaving the existing guarantee as well. It is also possible to refinance your existing guarantee with a new guarantor as well. For example, Sandra and Pietro bought their home with the assistance of Pietro’s parents. They have gotten divorced, and Sandra is going to get the property as a part of the separation. Sandra not only needs to remove Pietro from the loan and title but also needs to refinance Pietro’s parent’s guarantee. Fortunately, Sandra’s parents are happy to go on as new guarantors, so she completes a refinance to remove Pietro and his parents, and add Sandra’s parents on. Sandra’s parents home is worth more than Pietro’s parents home, but this doesn’t matter as the limited guarantee of $125k is removed from Pietro’s parents home, and put onto Sandra’s parents home. If you need to pay out your ex or are needing to refinance your home loan after a divorce contact us on 1300 088 065 and we can assist with removing your guarantee. Banks will charge some administrative, and possible government fees to remove the guarantor but they are usually under $500 (provided you aren’t paying lenders mortgage insurance). Your bank will let you know if there are any other application or valuation fees involved. Different banks charge different fees to release your mortgage. Thomas used his parents home as a guarantee for his own loan in place of an initial deposit. After 3 years Thomas’ property has increased by over $100,000 and he is in a position where he can refinance using the equity in his property to secure the total lending and remove the guarantee from the loan. We ordered a bank valuation for Thomas and his home was valued at $650,000 so he was able to refinance and remove the guarantor with the same bank with minimal paperwork. As his LVR reduced from 100% to 80% Thomas was also able to qualify for better interest rate discounts and overall lower interest rates. Chat with our team at Hunter Galloway now about removing your guarantor from home loan guarantee, call us on 1300 088 065 or get in touch here. Working with the Best Mortgage Brokers in Brisbane will make building your house much easier, and stressfree. If you would like to chat about removing your guarantor or arranging a new guarantee we’d be delighted to help you out, speak with one of our experienced mortgage brokers to walk through the next steps with you.